RUTH WARINER lives in Portland, Oregon. After Wariner left Colonia LeBaron, the polygamist Mormon colony where she grew up, she moved to California, where she raised her three youngest sisters. After earning her GED, she put herself through college and graduate school, eventually becoming a high school Spanish teacher. She remains close to her siblings and is happily married. The Sound of Gravel is her first book. "A haunting harrowing testament to survival." "Wrenching and moving...Wariner is a survivor, but more important, she’s a fantastic writer." "An addictive chronicle of a polygamist community"
"This well-written book is hard to put down and hard to forget." "Haunting. Rather than delving into the particulars of the community’s beliefs, Wariner reveals them as they arise. This gives great depth to the portrayal of her situation. With power and insight, Wariner’s tale shows a road to escape from the most confining circumstances." 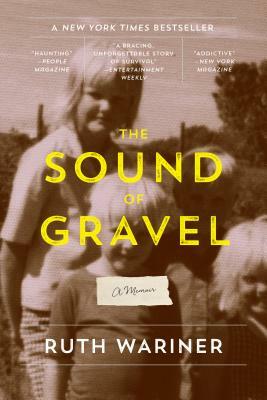 "If your book club is looking for a startling memoir, look no further than The Sound of Gravel. Disturbing, powerful, and poignant, Wariner delivers a harrowing story of survival and taking the necessary risk of saving yourself."